Cricket isn’t just a sport in India, it is way beyond that, it is an emotion that binds people with each other. 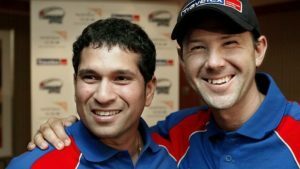 There have been many gods and demigods in cricket, for whom people are always seen going berserk. 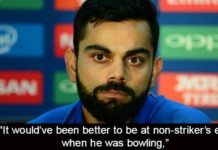 The skipper of Indian cricket team, Virat Kohli is the modern day legend of this game, who has emerged out to be the best in the business. He enjoys a huge fan following. So many times we have seen his fans going berserk for him. The fans are so crazy for him that a couple of times fans broke the security during the time he was playing the match, in order to click a selfie with him. And this has happened once again. 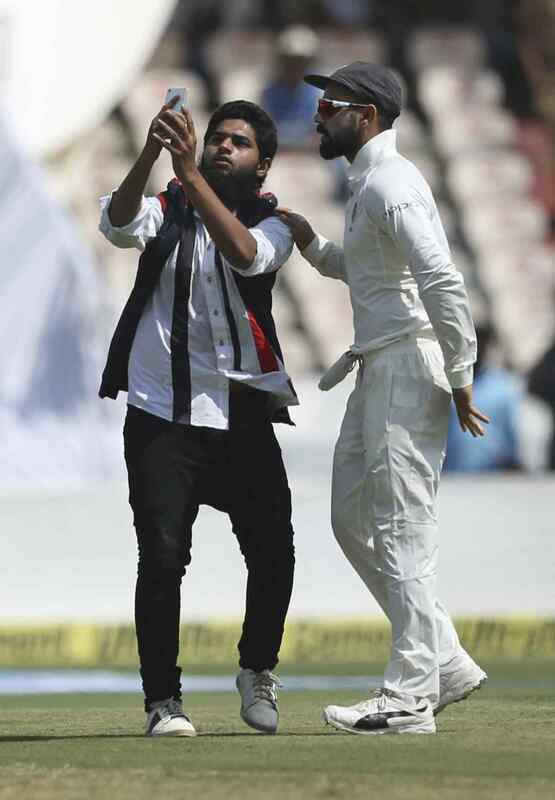 A fan breached the security on the first day of the second Test at Rajiv Gandhi International Stadium in Hyderabad, in order to click a selfie with Virat Kohli. 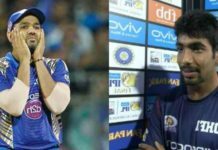 The video of the same has gone viral on the internet and as seen in the video, the fan can be wearing a jacket was seen running straight into the middle of the ground towards Virat Kohli. 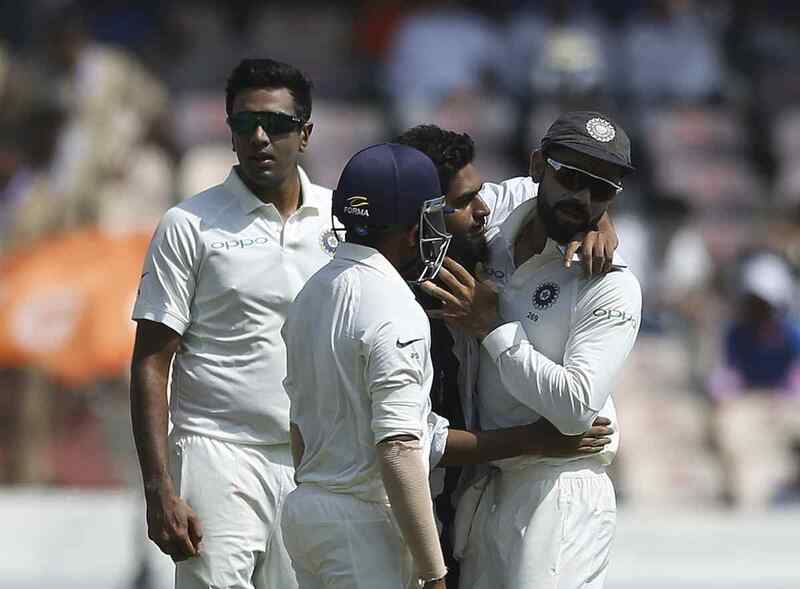 While Virat Kohli was seen clearly disturbed by the act of the fan, on the other hand the fan was trying to hug the skipper tightly. He was later seen kissing him on his cheeks as well. 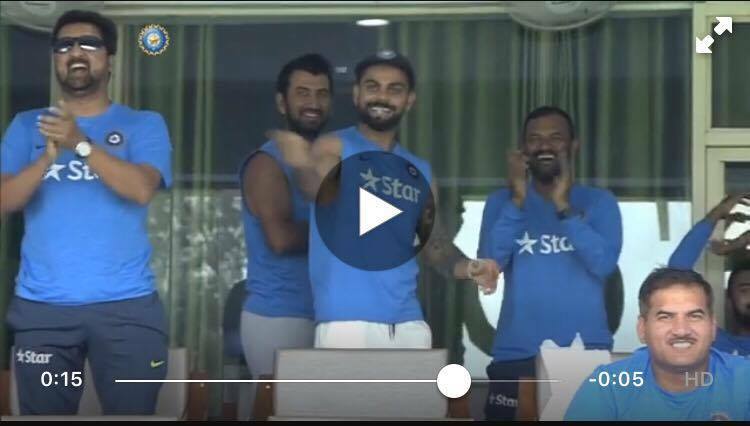 While the man tried to click a selfie with a hesitant Kohli who looked for security help to see the intruder away. The pictures and videos of the incident have create quite a buzz on social media. Well, these fans never fails to take everyone by surprise.